I am looking for a reasonably priced make up artist in the Hampshire area for my wedding next summer (myself, mum and 3 bridesmaids). Does anyone have any recommendations? The wedding itself is in Winchester so anyone from the surrounding area (Basingstoke, Southampton, Eastleigh etc) would be ideal. Thank you! 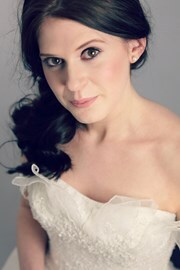 My name is Kat and I'm an experienced bridal make up artist that covers Winchester and the surrounding area. My website is www.katherine-louise.com if you'd like to take a look - I'd love to chat about your big day!